transforms your dog into the Clever Dog he is, in just 21 days. Your dog is extremely clever, and he learns very quickly when trained in short, frequent chunks. The problem is, traditional training methods don’t do this. Embark on 21 Days to a Clever Dog and you’ll experience fast, effective ways to train your dog in 21 days with fun daily, bite-sized videos and guides. To maximise your dog’s training, each daily video will teach you more than one training exercise per day, which is the fastest route to improved impulse control, and is guaranteed to improve and sometimes even resolve any behaviour problems your dog may face. Designed and directed by Sarah Whitehead, the UK’s leading canine Trainer and Behaviourist, this revolutionary programme can transform any dog, regardless of size or breed – and all using kind, positive methods. Want to know the secret to why we’re so confident? To prove this programme is ‘not just another dog training method’, Sarah filmed the training using rescue dogs she’d never met, had no indication of their background or any previous training and were straight out of the kennel. The results speak for themselves! Now, imagine what you can do with your beloved dog? Build a stronger bond and trust with your dog –teamwork will those daily battles! Are YOU ready for 21 Days to a Clever Dog? I'm taking 21 Days to a Clever Dog today! What you want. What your dog needs. 21 Days to a Clever Dog has taken 2 years’ of creation to bring to life, and has been described “the best thing Sarah has ever produced for pet owners and their dogs”. This project has been a personal goal of Sarah’s for some time, as she has such strong feelings for providing not just the best training for new puppies, but also for older dogs and rescues. Dogs who perhaps haven’t had the best start, or maybe have been in the background of busy family life and are at times a little tricky – these are the dogs this programme was made for. With the Days to a Clever Dog, it’s their time to shine now. Unlike traditional canine training programmes, this programme doesn’t do the boring basics, in fact we have torn up the training rule book to give you the most effective, proven methods to train your dog swiftly whilst ensuring you both have fun in the process! It’s really unique! Don’t embarrass us by being naughty when guests come round for a cup of tea! Complete the exercises in less than 4 minutes per day for 21 days, and you may not see perfection – after all, we don’t all want obedience champions – but you WILL see a huge improvement in your dog. By now you might be wondering how much this revolutionary and comprehensive training programme could be, well you’re about to be pleasantly surprised! For lifetime access to the entire programme, all 21 days of training videos and all of the additional video and online resources (and there are LOTS of them!) your investment is less than the price of a cup of coffee, just £3 per day. You don’t have to complete the programme all at once, you might wish to take a break or holiday, you might like to re-do some of the more tricky modules or maybe you’d just like to take the programme at a slower pace – that’s fine, this is your programme, your way. You will have LIFETIME ACCESS to play, pause and re-play as you wish! What’s even better is, when you invest in 21 Days to a Clever dog today you’ll also get access to a valuable additional Bonus Module: Walking nicely on the lead. Getting your dog to walk nicely on the lead is a both a science and an art. It can be a little tricky because many dogs are expert pullers – after all, if they’ve been practising it every day in the past, they will be pretty good at it so this module is a saviour for those who often feel that after a walk one arm is longer than the other! For the small sum of just £63 (including VAT) you’ll never look back from the transformation that you, and your Clever Dog will achieve in just 21 Days (or less!). Start today. Click the ‘I’m taking 21 Days’ button now. Get 21 Days to a Clever Dog for £63 as a fast action by clicking below now! I'm taking up 21 Days to a Clever Dog today! Here’s a taster of Day One’s module, get a head start before you buy! 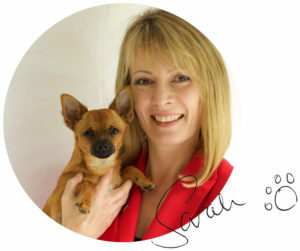 As a highly qualified behaviour specialist, Sarah’s diary is packed pretty solid, and requests for consultations for ‘tricky dogs’ come thick and fast. Not wanting to disappoint people by making them wait up to five weeks (or more sometimes!) to be seen, Sarah created helpful video training sessions that owners could learn from and use straight away, in the comfort of their own home, to at least help them get started. To Sarah’s surprise, after following these lessons, owners would get in touch and say they didn’t need her help anymore – they had built a strong relationship with their dog and improved responsiveness and training so much they had eradicated further need for training help! And where she did still need to see them, the Programme made building on their success so much easier. As a result, Sarah decided to make this revolutionary approach to training available to all owners and the 21 Days to a Clever Dog was born! 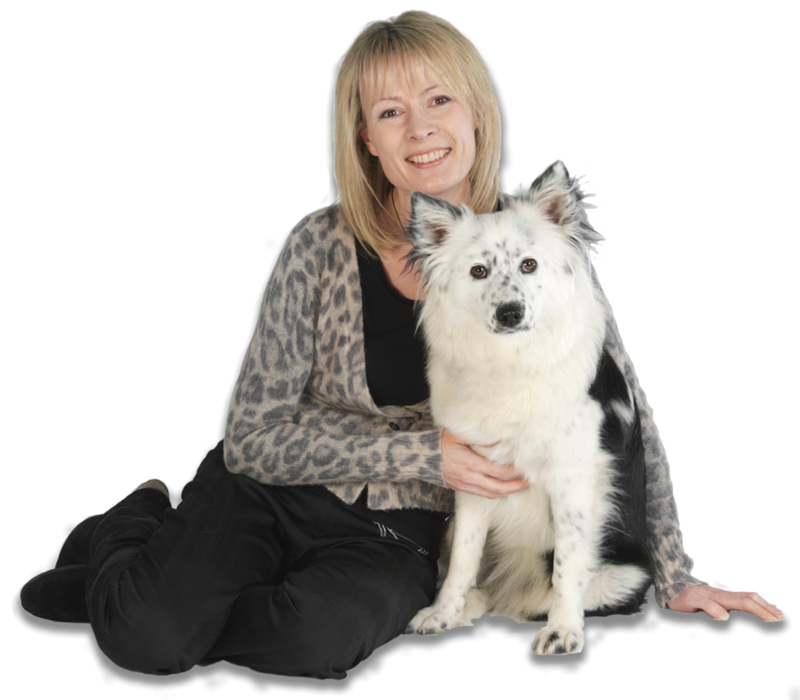 Creator of the 21 days to a Clever Dog, Sarah Whitehead is a world renowned lecturer and Certified Clinical Animal Behaviour specialist. As well as having her own behavioural practice she runs no less that seven successful businesses and she’s one of the UK’s leading authorities in canine behaviour and training. With over 27 years’ experience, and 25 published books, Sarah is one of the most recognised and respected professionals in the field. Sarah’s modern theories and training that focuses on positivity, the science of learning, and fun have led to revolutionary changes within the industry. Do I need to complete the whole programme in 21 days? Not at all! You have LIFETIME ACCESS, so if you've got a holiday booked or maybe a busy few days coming up, that's ok, you might like to re-do some of the more tricky modules again to cement the learning or maybe you’d just like to take the programme at a slower pace – that’s fine, this is your programme, your way. You will have access for life to play, pause and re-play as you wish. I have two dogs – can I train them both using the programme? Yes, you can train as many dogs as you like using this programme – but, you must train them individually. This is because at the outset, you and your dog are learning together – and it’s impossible for you to split your focus and attention on more than one dog at once. If you have more than one dog and think that the others will get frustrated at being separated when you are training, then manage the situation so that it doesn’t become stressful. Use a baby gate, or give the other dog/ s something to chew while you are doing the training with the ‘chosen one’. It is only a few minutes each day, and honestly, if you can’t separate your dogs for just a few minutes without them creating merry havoc then it means the need to do training with each of them individually is even more important. I have tried training before, and it didn’t work. What makes this different? However, no matter what the science is behind our methods, the important thing for most dogs (and owners) is that it’s just a little bit different. Each exercise is introduced as a fun challenge – so that you are not simply going through a ‘rule book’ of basic exercises such as sit, stay or heel. How much time will I need to spend each day on the training programme? The 21-day programme has been designed to demonstrate and teach the training exercise in very short sessions. Indeed, the average video length for each day is just three minutes. This is because time and time again we hear that what stops most people from training their dog isn’t lack of skill or ability – it’s time. Of course, after each video lesson, you can choose how long to spend on each exercise – and of course, the more you practise, the better your dog’s responsiveness will be. In addition, we know that sometimes you might want to learn more about a certain aspect of your dog’s behaviour and training - to go into more depth on the whys and wherefors of each exercise, we have put together over 50 owner guides which accompany the sessions. So, while the instruction itself is fast, you can spend much longer exploring the more in-depth information if you choose. My dog is from rescue – can I start to train him straight away? My puppy is only 12 weeks old – is this the right training programme for him? We know that the earlier you start to train puppies, the better! Young dogs are like little sponges – just waiting to soak up new information, and it’s vital that we teach them all the right behaviours so that they don’t fall into the habit of wrong ones! However, like all things in life, a little common sense is required. If you have a very young puppy, then bear in mind that his attention span will be shorter, that his bones and joints are developing, and that he will need to learn all kinds of other basic life skills (such as how to get along with other dogs and house training) in addition to learning to be responsive to your commands. My dog is aggressive – will this training programme help? I don’t want to use food in training – can I still do the programme? Firstly, ask yourself why you do not want to use food in training. If it is because you think your dog will gain too much weight, remember you are in control of his food. If you have used a lot of food during a training session simply cut down a little on the dog’s daily meals. Perhaps you want your dog to learn just using praise or pats. If this is so, think about it from the dog’s point of view. Most of the tasks we ask dogs to perform do not come naturally to them. We are asking them to learn human rules, tasks and boundaries. Dogs learn by repeating rewarding behaviours, so if you can provide the reward he most enjoys, he will repeat the behaviour you are teaching. Most dogs find food highly rewarding. It’s the equivalent of his salary, and as we all have to feed our dogs anyway, why not use it to your advantage rather than just giving it away? Of course, if there is a medical reason for not wanting to use food, please consult your veterinary surgeon. I don’t have a clicker, can I still take the programme? Using a clicker is super-effective, and we do recommend that you invest in one (they are all of £2.00 each!). However, if you don’t have one, that’s fine – you will need to choose a word to act as your clicker instead – and this needs to be unique and something you only say in training with your dog. We suggest ‘Click’! More information on this is found in the programme itself. My dog is overweight – can I still do the programme? In our experience, very few dogs get fat as a result of food used in training. Instead, most dogs are overweight because they are fed too much in their dinner bowl and in ‘free treats’ – food given just because we love them. Overweight dogs can still do this programme (with veterinary approval if your dog is medically compromised by his weight issue) – you may need to cut down the amount of food your dog gets elsewhere and use his daily ration as training treats. My dog has been unwell – should I still do the training? Dogs cannot tell us when they feel unwell: sometimes clinical issues are only manifested through behavioural signs. If your dog seem unwilling to train, always give him the benefit of the doubt. Stop what you are doing and take advice from a veterinary professional. Dogs that have had health problems and are confined to a reduced exercise programme need special care and training, and although the static parts of this programme will be suitable, veterinary advice should be taken before embarking on this or any other training programme. Can the whole family train the dog? Yes, we love it when everyone gets involved! Getting the whole family in on the act can help to add that magic ingredient of dog training – consistency. How about one member of the family holds the clicker, another has the treats, and another tells the dog what to do? Team training like this is mutually supportive and is fun too! Just remember – safety comes first, so kids under the age of 16 should be supervised by an adult and adults of an overly-serious nature should be supervised by their kids! Do I have to train everything on the programme or can I pick and choose what to train? We understand that sometimes life gets in the way of dog training, and that you may have training priorities which are different from someone else’s – meaning that you want to focus on specific areas. Our suggestion is that you go through the course day by day, in order. This is because the programme is designed to progress and build on your dog’s successes step by step – and it gives your dog the very best chance of building a strong training history. After that, you can then work on the individual exercises that most suit you. My dog is not interested in food treats. Will the programme work for him? Some dogs are fussier than others about food, and it may be that you are simply not using food treats he finds tempting. Try experimenting to find out what treats your dog enjoys. It may be little bits of chicken, cheese, sausage or livercake. Some dogs don’t seem interested in food treats because they are not hungry! Don’t train your dog after you have just fed him. Try cutting down a little on his regular meals. If you suspect there is a medical reason for your dog not being interested in food treats, please consult your veterinary surgeon. Can you guarantee my dog will learn everything on the programme in 21 days? 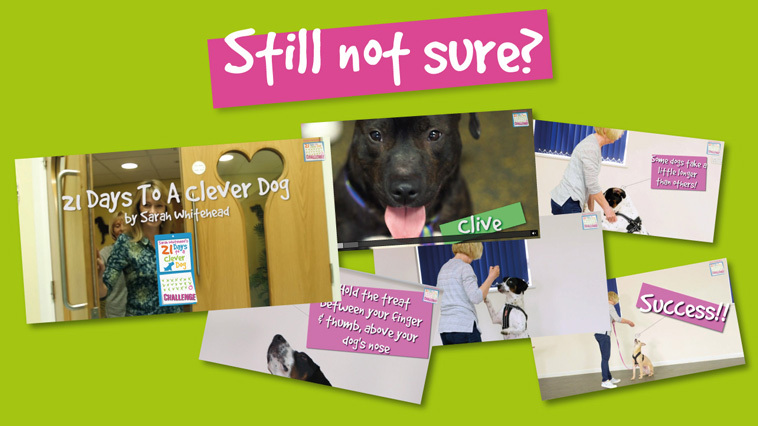 All dogs are different – as you can see in the footage of the rescue dogs that we worked with in the filmed programme. This means that some dogs will be brilliant at one exercise, and may need more help or time spent on another. Of course, the results that you will see from the programme also vary depending on the starting point, your goals, and the effort that you make as a trainer to teach your dog and practice with him or her. Join our Wall of Genius and show off your Clever Dog! Are YOU ready to accept the 21 Days to a Clever Dog? I'm taking up 21 Days today! Save 66% and uncover the genius in your dog now. ONLY AVAILABLE UNTIL 5pm FRIDAY 12th APRIL!